Our bishop here in San Diego, Bishop Robert McElroy is going on a listening tour, visiting 8 different parishes. He will discuss the Pennsylvania Grand Jury Report and other odds and ends. He needn't bother. All he has to do is issue a letter to the diocese, telling us what he knows. The schism in the Church is horizontal, not vertical. At issue is not the old and solved problem of pederast priests, but the ongoing problem of the Gay Mafia running some of our seminaries and having an organization throughout the leadership of the Church. If you don't believe me, dig this. The dude running the show, one Cardinal Maradiaga, is a favorite of Pope Francis, despite the widespread knowledge of this abuse. Again, the schism is horizontal. The laity is fine, we're not abusing seminarians. Our parish priests are fine, they're not plotting and scheming. Above that, things are murky. We know there is corruption in the leadership, but not the exact mechanisms nor the guilty parties. 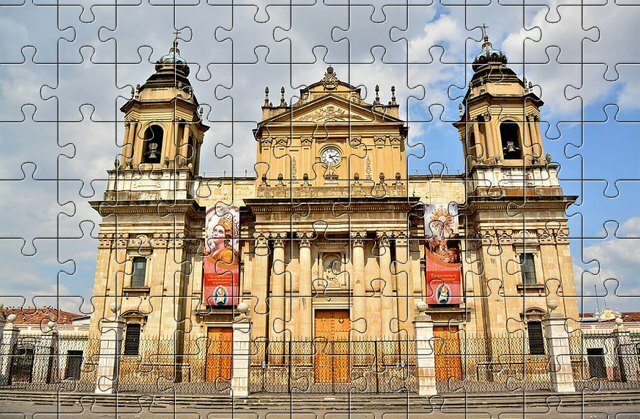 The bishops and cardinals are all holding pieces of that jigsaw puzzle. If they don't share their puzzle pieces with us, they can't be trusted. It's that simple. We don't need to hear about conclaves or synods or meetings or Masses of Penance. We just need to be told what was going on from the people who know. There's no excuse for not telling us. So tell us or don't, but if they choose to continue to blow smoke, they've only themselves to blame for the mistrust and chaos that follows. We've got a lot of the pieces already. If we finish it without your help, our only reasonable conclusion would be that you're guilty. What If He Did It? Diane Feinstein, Mean High School Girl.